With The Cookie Jar, Hannah Swensen has a mouthwatering monopoly on the bakery business of Lake Eden, Minnesota. But when a rival store opens, and one of the owners is found shot to death in the store, Hannah is determined to prove that she wasn't the only one who had an axe to grind with the Quinn sisters. 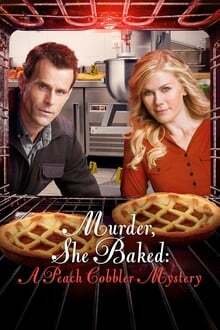 Somebody wasn't fooled by the Georgia Peaches and their sweet-as-pie act--and now it's up to Hannah to track down whoever had the right ingredients to whip up a murder. We don't have any reviews for Murder, She Baked: A Peach Cobbler Mystery.